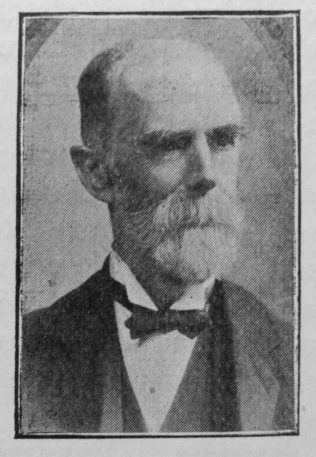 Transcription of Obituary in the Primitive Methodist Magazine by H.W. Mr. Hugh Walton was born at Coxhoe in September, 1838, and died at Wheatley Hill, on February 6th, 1905, aged sixty six years. His early life was spent in the district of his birth, where he became publicly identified with the church of his choice while in his teens. At the age of eighteen he began to preach in the Old Durham Circuit, residing then at Cassop Colliery, being choir leader, class leader, and Sunday School teacher at the same time. When appointed to lead his class, some of the older people refused to receive exhortation from a “lad” and left him, but ere long they returned and after attending a few times they had to confess that they did not think it possible for a mere youth to do so well. This was the beginning of a useful life in our Church. He laboured at Eldon and Binchester in the Bishop Auckland Circuit and Croxdale and Tudhoe in Spennymoor Circuit. The years over which we have passed were not wasted. He cultivated his mind, and as a result was able to obtain a First Class Colliery Managers’ Certiﬁcate. Through his ability and tact in the pit he occupied responsible positions. In the year 1889 he was appointed under-manager of Wheatley Hill Colliery, which position he ably filled until his death, the colliery attaining the standing of one of the largest in County Durham. During all these years he continued as local preacher and class leader. He was a delegate to Conference at Newcastle-on-Tyne in 1902. He was a strong advocate of education. For many years he was on the Preachers’ Examining Committee and for some time was the President of the Sunderland and Newcastle District Local Preachers’ Association. He was trustee of several chapels and generous supporter of all church work, especially missionary work. For fifteen years in succession, in his own church, he acted as chairman to the annual missionary meetings. On the division of the Thornley Circuit in 1901 he was appointed circuit steward, which position he filled with credit until his death, and now it is felt that the circuit and church have lost a good and faithful servant. Evidence of this was given to the vast number of people who attended the funeral service, by two of his oldest and dearest friends, viz, Mr. W. Glass of Wingate and Mr. John Hewitson of Newcastle, also the Revs. R. Walton and W.E. Goodreid, circuit ministers. Numerous letters of sympathy were sent to the bereaved family and the general tone of each was that the deceased was a man of the highest type of Christian, full of vitality for the Church, and all who knew him learnt to love and respect him. He was a self-made man, quiet disposition, loved the quiet places, but in any crisis, his judgment could be relied on. He leaves a widow, four sons and four daughters to mourn in loneliness, but they have the grand promise that at the last day the dark cloud will have passed away and will reveal a smiling face. It is pleasing to note that the work he laid down, is now to be taken up by the son who bears his name, Hugh. Hugh was born to parents William, a bricklayer (1841) and later a coal miner, and Mary. Census returns identify the following occupations for Hugh. Hugh married Elizabeth Fishbourn (abt 1836-1866) on 29 April 1861 at Kelloe, Co. Durham. Census returns identify two children. Hugh married Sarah Towers (1844-1913) in early 1867 in the Auckland Registration District, Co. Durham. Census returns identify eight children.